50 Cent has pleaded not guilty to domestic violence charges after he was accused of kicking an ex-girlfriend, whom he has a child with, and destroying her condo in Toluca, California, in June. 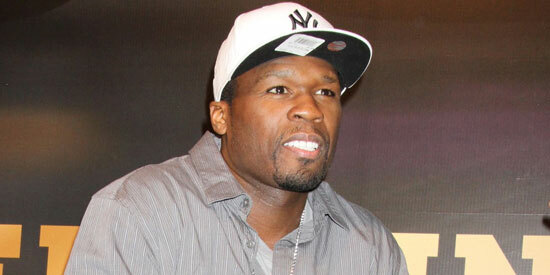 50 Cent has pleaded not guilty to domestic violence charges. The "Candy Shop" hitmaker was accused of kicking an ex-girlfriend—whom he has a child with—and destroying her condo in Toluca, California, in June, but denied the charges when he appeared in court in Los Angeles on Monday (August 5). However, 50 Cent, who could face being put behind bars for up to five years and slapped with a hefty fine of $46,000 if he is found guilty of the attack, has been barred from coming within 100 yards of his ex and ordered to hand over any weapons to the authorities. He will appear in court again on September 4. The Los Angeles City Attorney said previously that the rapper—whose real name is Curtis Jackson—allegedly caused $7,100 in damages to the unnamed victim’s furniture, chandeliers, a TV, a lamp and by ransacking her bedroom during the incident. Police officers were called to the property and the woman claimed she had locked herself in her bedroom after getting into an altercation with 50, after which he broke down the door and kicked her, resulting in an injury. The mystery woman told police she had been in a three-year relationship with the star, who reportedly left the house before police arrived.